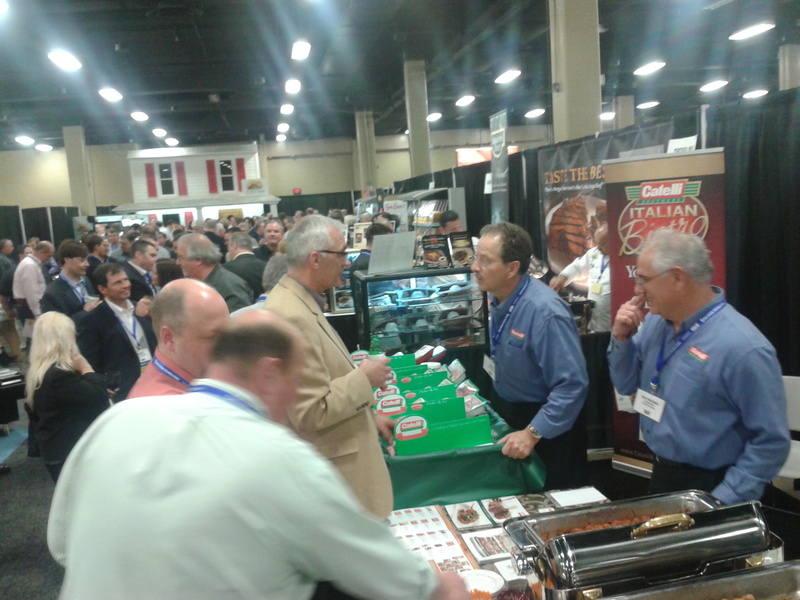 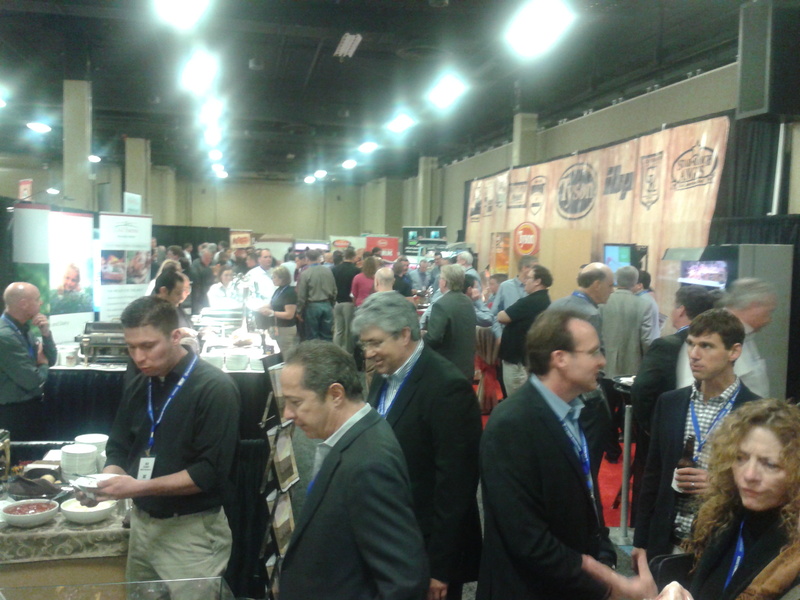 The highlight of AMI/FMI's Annual Meat Conference is the tasting reception, and this year's gathering in Nashville was no exception. 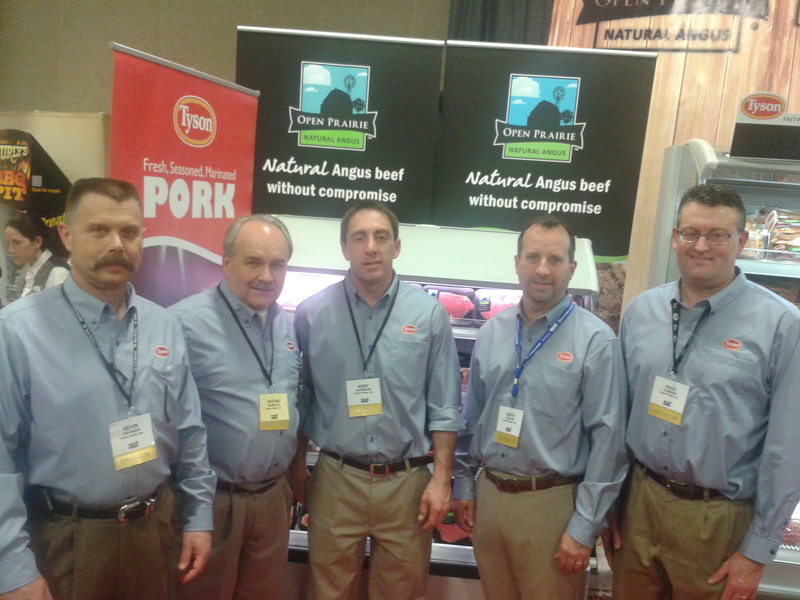 Tyson Foods displayed its new Backyard Flavors line of pre-seasoned beef and pork, its Open Prairie Natural Angus products, Pork Shoulder Carnitas and Wright bacon. 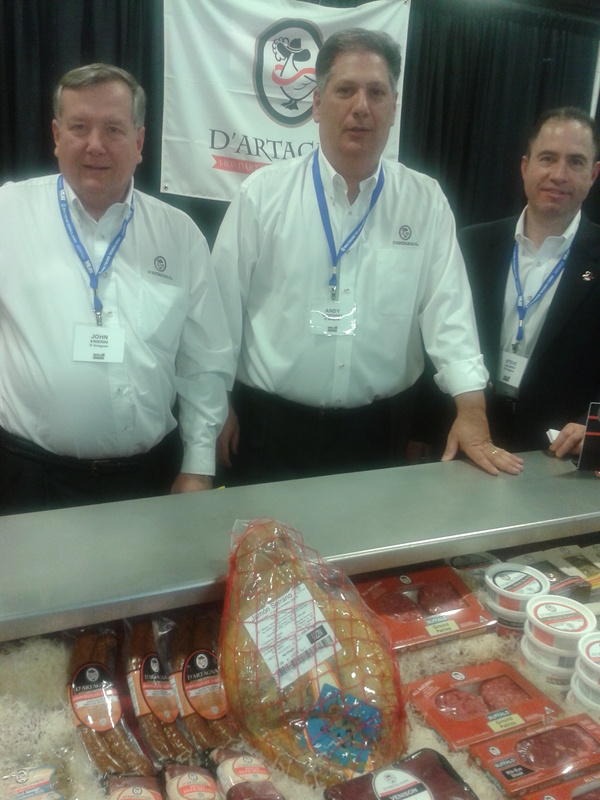 Specialty meat purveyor D'Artagnan sampled its Buffalo Rib-Eye Steaks and HPP-packaged sausages. 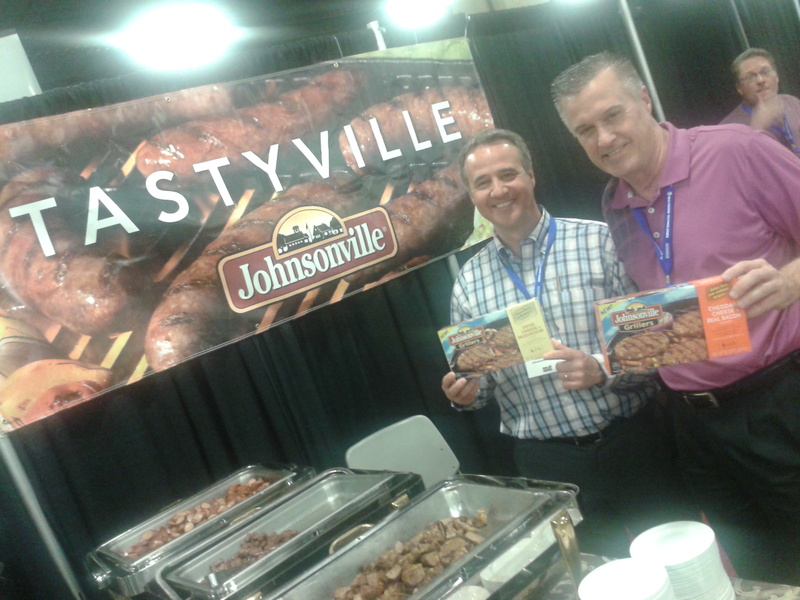 Johnsonville displayed its new Chicken Sausage (Italian with Cheese), Pork & Chicken Breakfast Sausage with 50% less fat, and Grillers pork patties with cheddar cheese and bacon. 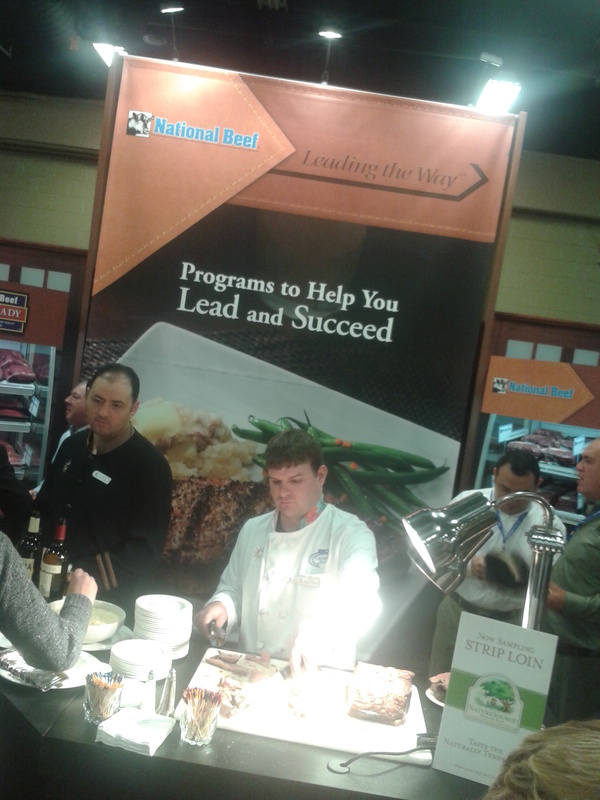 National Beef offered samples of its Natural Source natural beef. 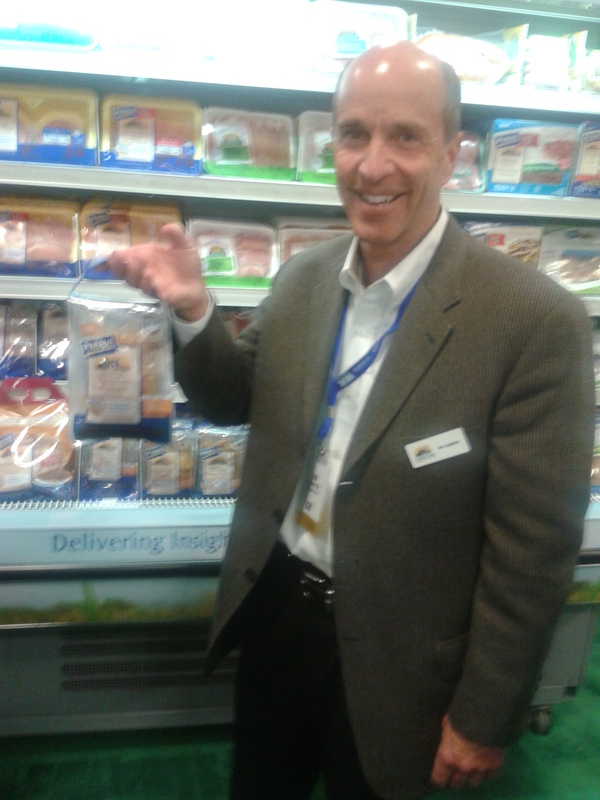 Perdue Foods' Jim Leighton shows off new Grab 'n Grill portable packaging for chicken breasts. 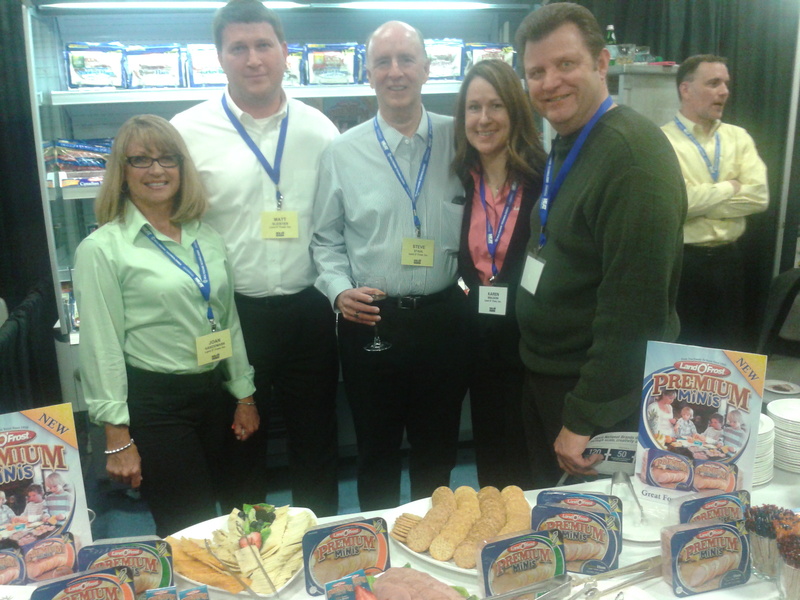 Land O'Frost sampled its Premium Minis lunchmeats for party trays, snacks and school lunches. 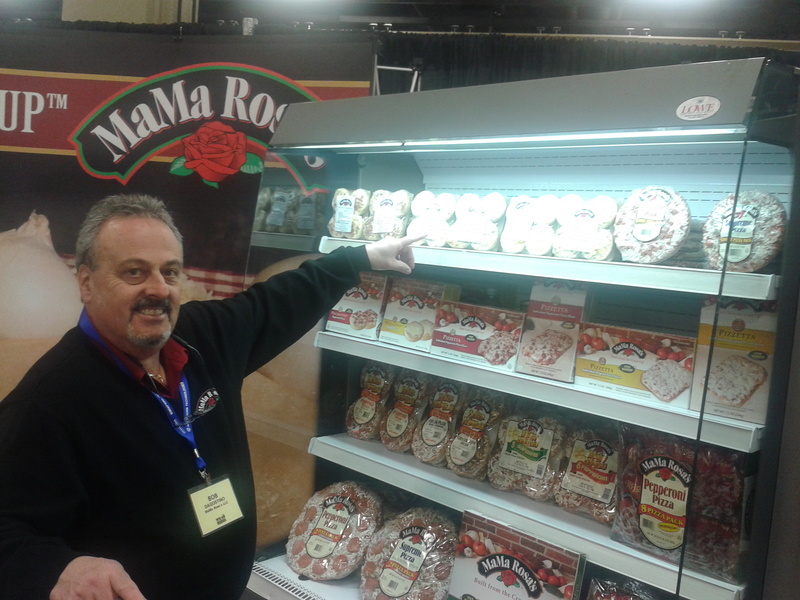 MaMa Rosa's displayed its Piccoletto individual mini pizzas. 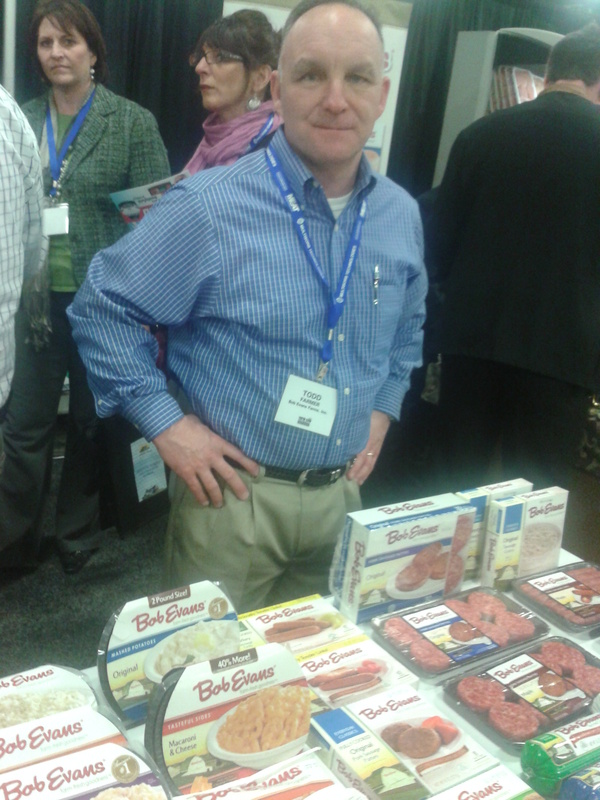 Todd Farmer of Bob Evans shows off the company's extensive line of premium heat-and-eat side dishes. 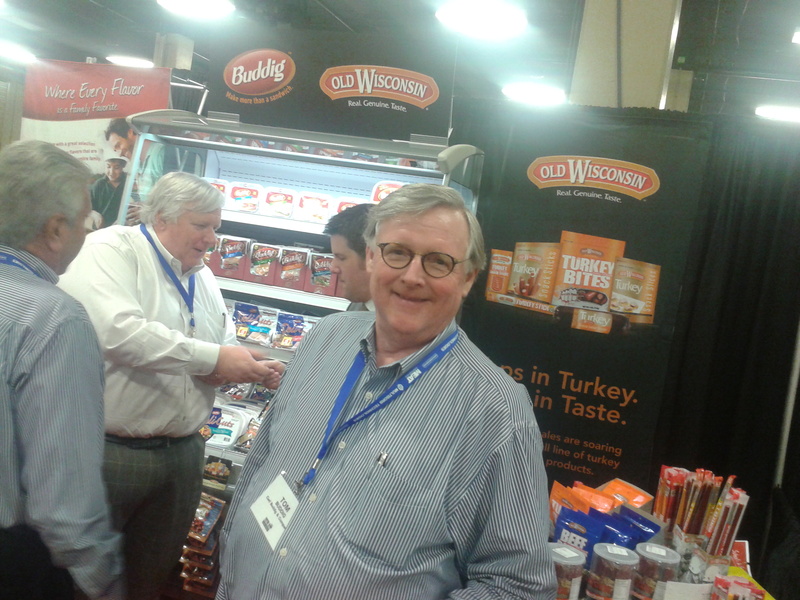 Tom Buddig discusses his company's extensive line of meat snacks.